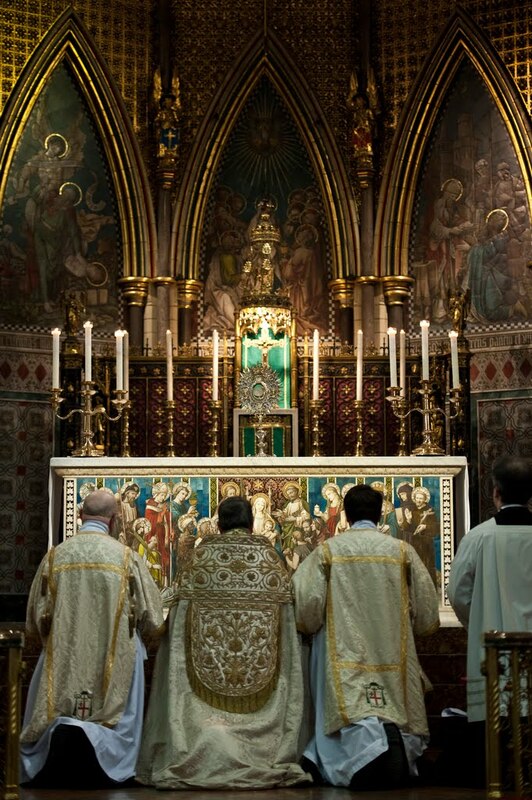 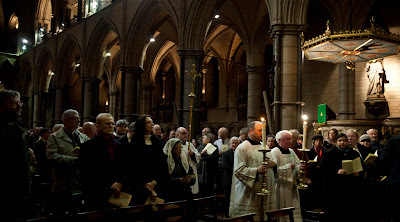 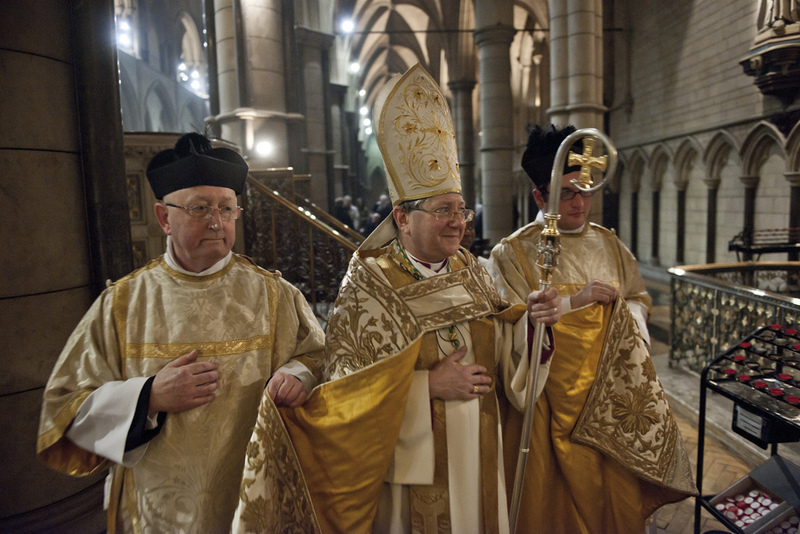 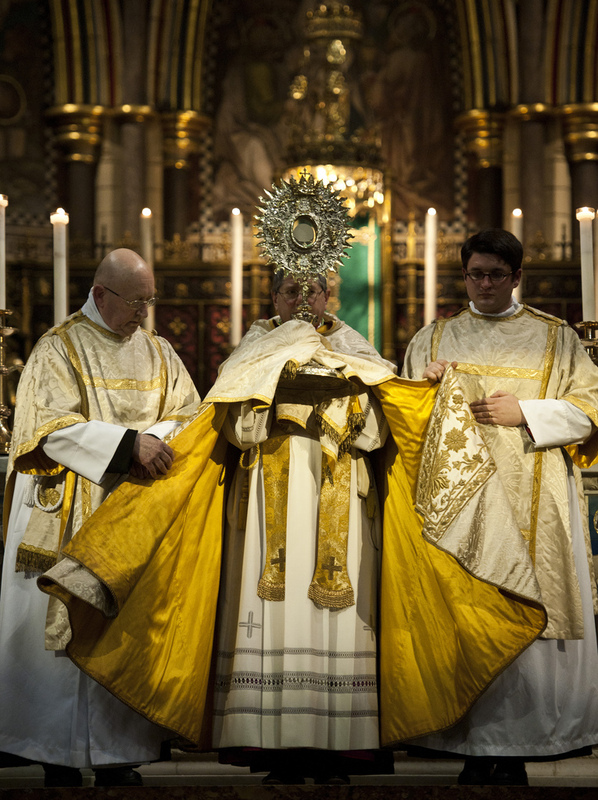 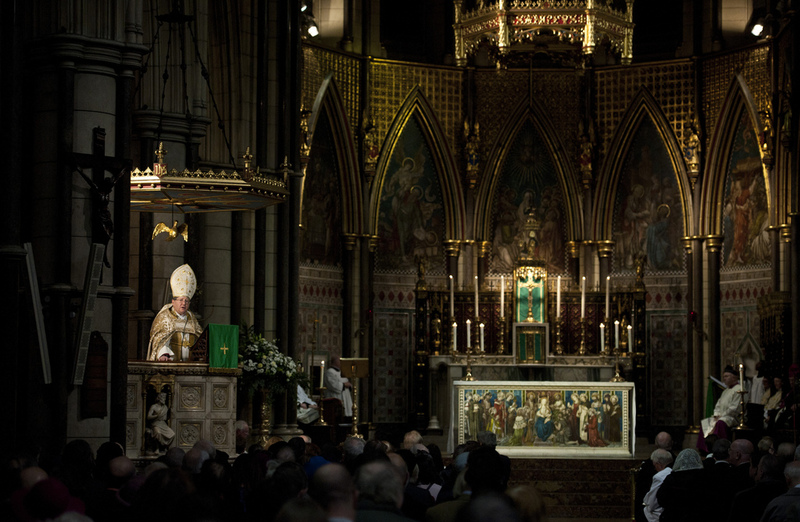 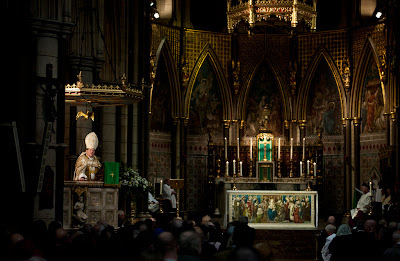 The Personal Ordinariate of Our Lady of Walsingham recently celebrated its first anniversary with Solemn Evensong, Benediction and a Eucharistic procession at St. James, Spanish Place. 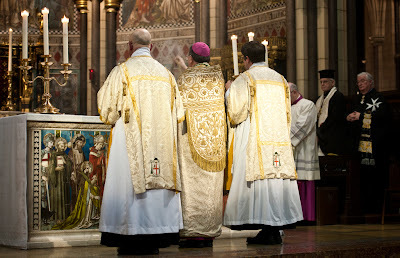 The event was presided over by Msgr. 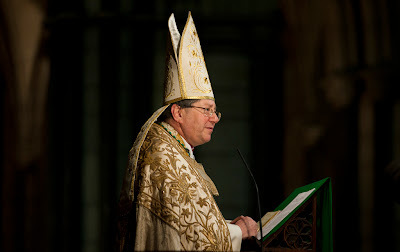 Keith Newton, the Ordinary of the personal Ordinariate. 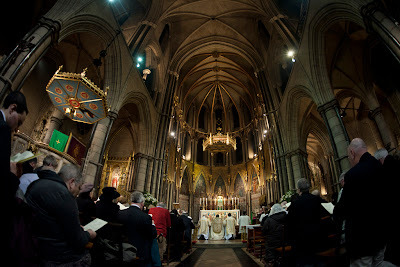 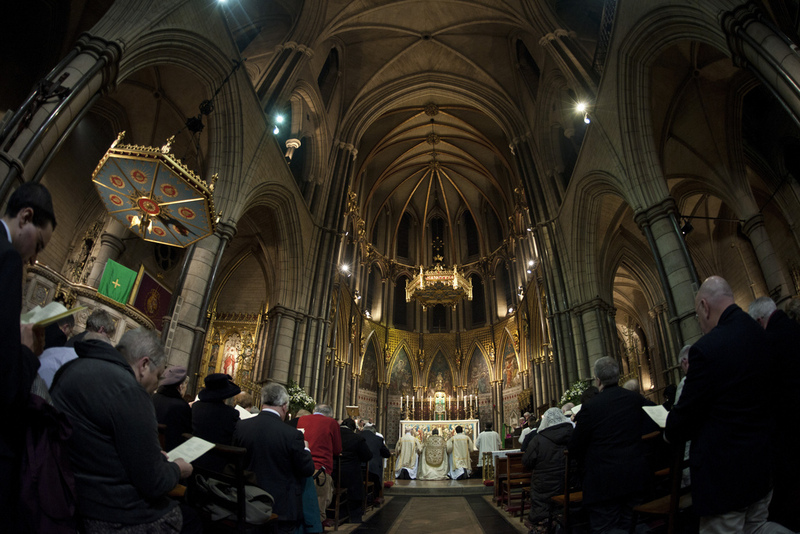 Music from the Anglican choral tradition was used. 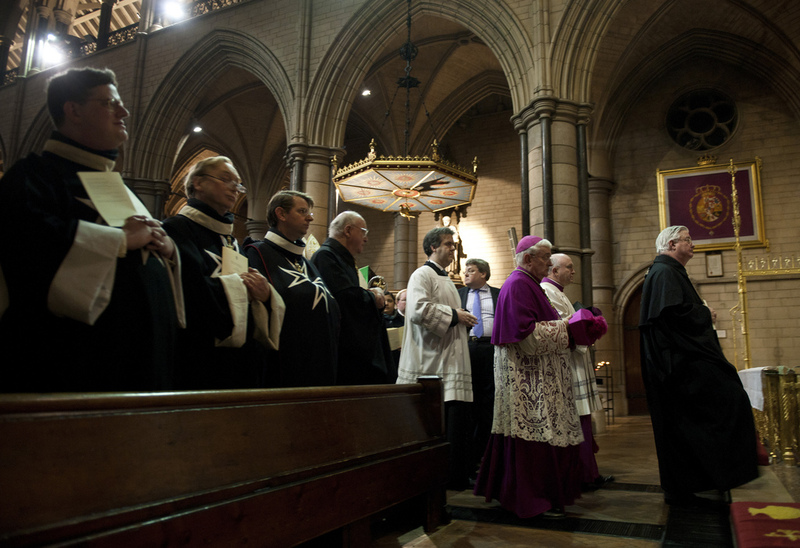 Amongst the estimated 500 people in attendance were various representatives of the Knights of Malta and Bishop Peter Elliott.